“The ‘Aether’ story we’ve been telling that for the past 10 years, that’s incredibly complicated, incredibly involved. Our fanbase loved that about it, but there’s a part of our community that came in a little later on. It’s almost unfair to them to have to jump into that 10-year storyline and find their footing. We felt now was the perfect time to start a new story. 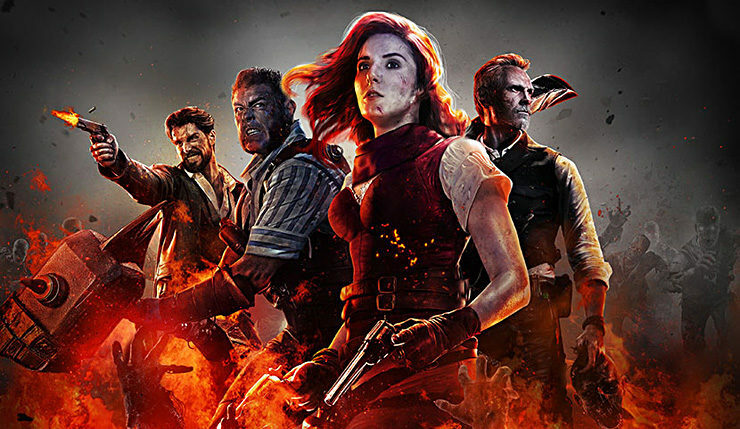 Blundell also confirmed Treyarch’s new and old Zombies universes aren’t connected in any way, and hinted this new story could continue for years to come. You can expect a more steady flow of new Zombies content going forward, much of it not tied to traditional CoD DLC packs, as Treyach is now keeping the Zombies team full-time engaged on creating new content. Gladiators. And Zombies. This is IX, which transports our new cast of characters to the ancient Roman Colosseum, where an evil force pits Gladiators against Zombies with our heroes thrown in the mix. The secrets behind IX are yet to be revealed – but, expect a fight for total survival while and discovering the mysteries hidden in ancient Rome. What came first, the iceberg or the Zombies? (Spoiler alert: it was the Zombies.) It’s 1912. Our heroes are aboard the maiden voyage of the RMS Titanic, on a quest to steal a precious artifact. However, their mission will not be easy – as a sinister, secret adversary is also aboard, hellbent on utter destruction. Welcome to Voyage of Despair, an all-new Zombies experience that rewrites history with the help of the Undead. Our new heroes must band together to outlast the Zombies and survive. The motley Primis crew, known as the Origins characters – Takeo, Richtofen, Dempsey and Nikolai – make an epic return in Blood of the Dead. Blood of the Dead continues the Aether story, still enjoyed by the Zombies community in Black Ops 3. The Origins characters have enlivened the Zombies community as they have faced dragons, giant robots and unimaginable monsters. “Blood of the Dead” adds to an already rich Zombies history and packs in the familiar secrets and struggle for survival that the Zombies community’s come to love. Call of Duty: Black Ops 4 hits PC, Xbox One, and PS4 on October 12.